Lisa Barthelson works in multiple mediums from her studio in Worcester MA. Everyday materials and the natural world around her spark and fuel Barthelson s work. Looking at everything as a potential medium, she is energized by the challenge of transforming and re-composing household objects, personal cast offs or nature s detritus in combination with traditional materials and processes. In her ongoing family debris series everything, including the trash from her family of five s postconsumer waste stream, is repurposed as art making material. Barthelson earned a BS in Environmental Design from the University Connecticut and an MLA, Masters in Landscape Architecture from the University of Massachusetts. She is a member of the Blackstone Print Studio cooperative. 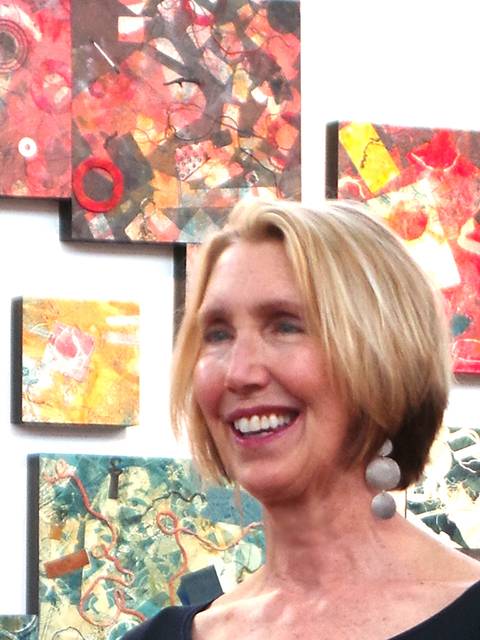 Her work has been exhibited throughout New England and in NY. Recent commissions include site specific wall sculptures for Kronos. Inc. and Worcester State University. Barthelson has been in residence at Vermont Studio Center and Playa.